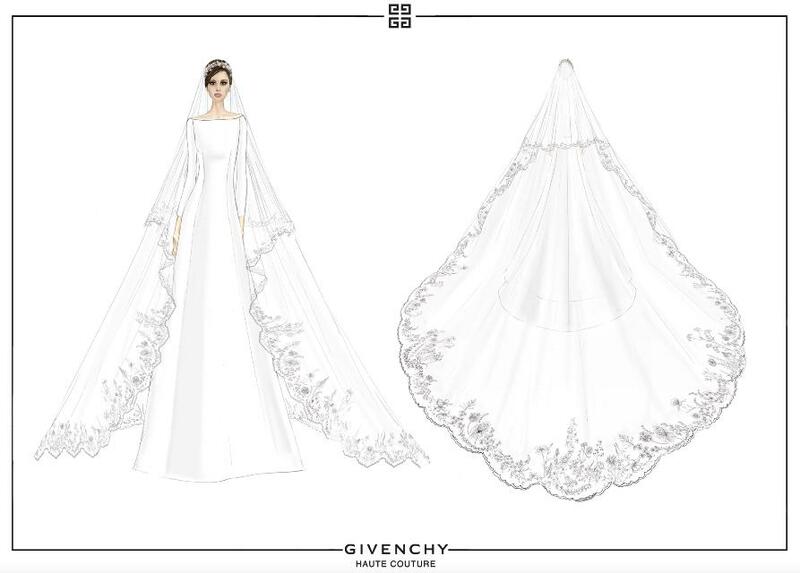 After months of agonizing analysis and speculation, it was revealed Saturday when Meghan Markle stepped out of the vintage Rolls-Royce ferrying her to St. George’s Chapel for her wedding that she had selected Clare Waight Keller to design her wedding dress. The assignment had been kept so tightly under wraps that Waight Keller couldn’t even tell her family until the morning of the wedding. 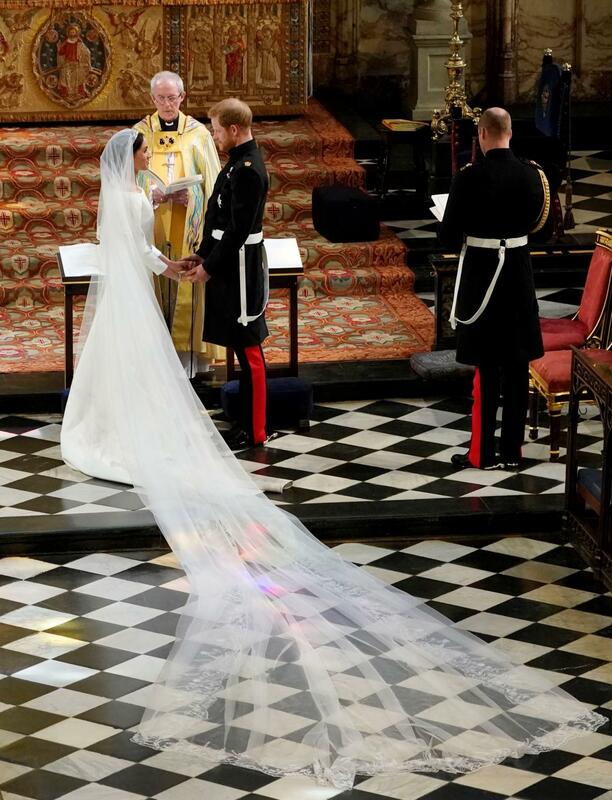 Waight Keller said around 50 atelier members worked on the Royal commission (which included Markle’s dress, veil, shoes, and her bridesmaids’ dresses) while the dress itself took a staggering 3,900 hours to complete. 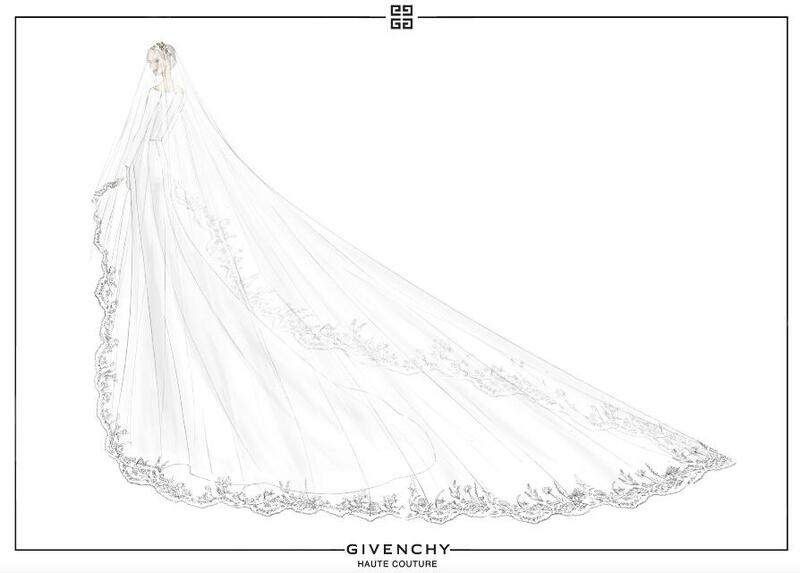 The artistic director of Givenchy developed her own fabrication for the gown, a double bonded silk cady, which was pieced together by just six seams. Markle’s veil subtly nodded towards her husband’s new role as Commonwealth Youth Ambassador, an appointment that includes fostering relations between the U.K. and the 53 Commonwealth countries that used to belong to the British Empire including Kenya, Gambia, and Botswana. Each of the 53 countries were represented in her veil with their own distinctive flora. Stella McCartney (partially) shared the spotlight with Waight Keller. The Brit designer dressed Amal Clooney and Oprah for the event as well as designing Markle’s bespoke reception dress, a silk crepe gown with a high collar, which Markle paired with white Aquazzura satin heels that had baby blue soles. McCartney also created mother-of-the-bride Doria Ragland’s reception look. Oprah wore a blush-colored frock McCartney fashioned, apparently very last-minute, from sustainable viscose knit. In a video Oprah posted on her Instagram to thank McCartney for dressing her, Oprah alluded to some sort of color-related mixup that forced McCartney and her team to work double-duty in the hours preceding the ceremony. Oprah lovingly termed the incident “Dressgate” in the video. Haider Ackermann is the latest designer to shake up the traditional show schedule. The designer has decided to combined his menswear and womenswear runway shows, unveiling both collections during women’s Paris Fashion Week in September. Ackermann had previously shown his menswear during Paris Men’s Fashion Week in July. Ackermann said the folding together of the collections was a strategic choice, saying the new format “reflects a desire to stage a new balance between the two collections by breaking with codes and recreating magic with the interaction of two different identities.” It’s also more cost-effective. Welcome to the world baby Miles! Chrissy Teigen and hubby John Legend shared a picture of their newborn son via the model’s Instagram over the weekend. Miles Theodore Stephens was born just last Wednesday. Congrats to the new parents! MatchesFashion is staking its claim as a major e-comm player. On Monday, the British luxury site reported that in the 12 months leading up to January 31, 2018, they saw their annual revenue increase 44 percent, with the e-tailer raking in 293 million pounds (or roughly $ 394 million) in 2017. The company attributes the earnings spike to its focus on international expansion and growth in the U.S. Matchesfashion also reported that website visits increased last year by 36 percent and the average online order was £542 (or $ 727). Taylor Swift made her reemergence into the public eye with a sartorial bang. On Sunday, Swift attended the Billboard Music Awards in Last Vegas —her first public appearance since 2016 — wearing a sparkle-laden, pink Versace gown. Donatella Versace gave her followers a glimpse of the dress four weeks ago in an Insta-story, which she captioned: “This gown took more than 800 hours to bring to life.” Swift’s 108 million followers got multiple views of the dress as Swift documented the evening with several Instagram posts. 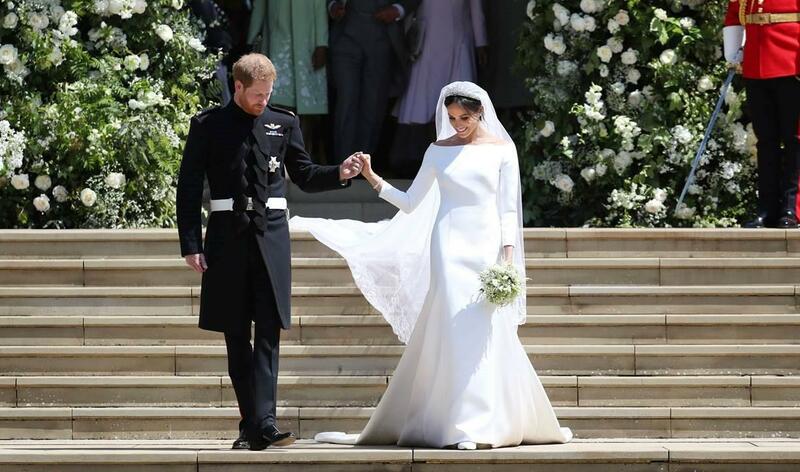 Shoppers hit Bloomingdale’s 59th Street store on Saturday for “We Said Yes!” The consumer experience coincided with The Royal Wedding. Baccarat, the event sponsor, presented a whimsical table called, “Who’s Invited to the Royal Wedding?” The table mirrored the personalities of well-known Brits such as Queen Elizabeth, Elton John, and James Bond. 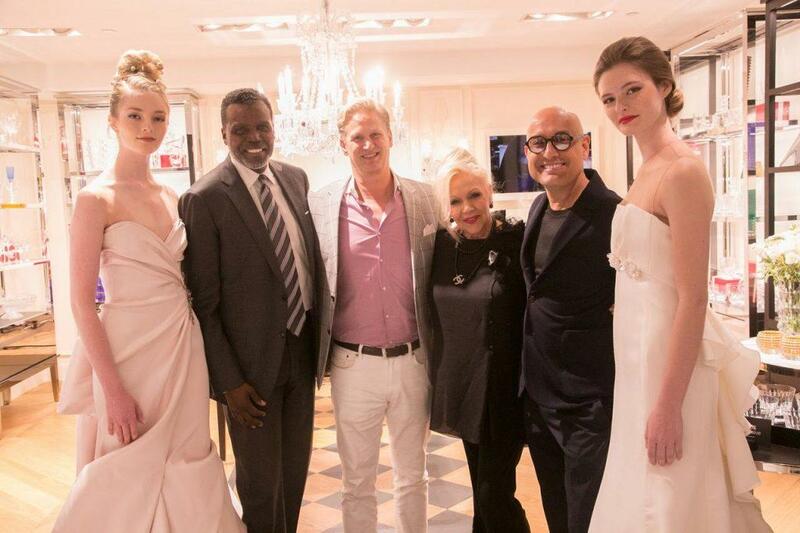 Designers Anne Barge, Ines Di Santo, Angel Sanchez and Margo LaFontaine from Amsale were on hand to mingle with brides-to-be.